Members have been involved in NYSF activities, including the Session C dinner for members, guests and NYSF students, home-hosting very thankful (and tired) students and preparing for more mock interviews. Feedback from Session A interviews was that students found it a very worthwhile experience, particularly as many students had never experienced a job interview. Queries/cancellations for NYSF: Adam de Totth, Chairman, NYSF Committee garnetguru@gmail.com or phone on 6288 1441. Last week we published a photo of our Club’s 2010 Ambassadorial Scholar, Michelle Jester and unfortunately stated that the nice man with her was her boyfriend, Jino. However, Jino is Michelle’s brother. This will be a great social night for members and guests. Please advise Liz of numbers. Banquet $25 or $30pp and al la Carte choices. BYO. You may recall that we have for some years now been honoured by the visit of the Peace Fellows who are undertaking the Masters in International Studies in Peace and Conflict Resolution at the Rotary Centre at UQ in Brisbane. The visit of the Class of 2013-2014 (approximately 10 fellows) has now been scheduled for 3-6 May 2014. They will follow a program of professional, academic and cultural visits that aims to introduce them to Canberra and some key actors in the peace and conflict resolution. To ask if any members would be willing to act as Home Hosts for one or two of the Fellows during this visit. This involves providing accommodation for the nights of 3, 4 and 5 May. In addition, subject to finalisation, it would involve meeting their guests for dinner on the evening of Saturday 3 May, transport to a central point on the mornings of 4, 5 and 6 May, transport from a central point on the evening of 4 May and to and from the formal dinner on 5 May, and provide a simple dinner at home with their guests on Sunday 4 May. To ask if any members, if not able to provide accommodation, might be interested in assisting with transport or other arrangements on these dates. This is a wonderful opportunity to meet some very interesting and inspiring young people who are participating in a key Rotary program. Rotarians who are interested in helping in either of these ways should email the Convenor: garth.britton@netspeed.com.au. Annual Rotary International Conference in Sydney (1-4 June 2014). This week’s meeting will not be held on Monday 20th January, but instead we will be attending the National Youth Science Forum (NYSF) Session C dinner on Thursday, 23rd January at the Ainslie Football Club. This will be a great night where Rotarians from around the District and their guests will have the opportunity to hear speakers from the field of science as well as meet many of the NYSF students, several from overseas. Registration for dinner to http://www.rotaryd9710.org.au/ and follow the prompts. There will be no provision for cash payments on the night. On Sunday 12th January, a couple of our members home-hosted NYSF students from Session A. From all reports it was an experience that was thoroughly enjoyed by members and much-appreciated by the students as they were able to put their feet up, catch up on washing from a busy week and chat with members and their families while enjoying home-cooked meals. Those attending the Session A dinner reported that it was a very worthwhile night with excellent speakers. Home Hosting – Sunday 26 JanuaryQueries/cancellations for NYSF: Adam de Totth, Chairman, NYSF Committee garnetguru@gmail.com or phone on 6288 1441. Beth spoke about her work as a broker between the ACT Chamber of Commerce and the ACT Government, particularly in relation to our area of Gungahlin. It was extremely interesting to hear about the work that has been done across the ACT, such as multi-generational partnerships between schools and aged care facilities, for example, students undertaking projects requiring them to record oral history of aged residents, taking residents for coffee outings, and also ensuring interactions with the staff in the facility. In the ACT there are now eight schools and eight aged care facilities with partnerships. Beth explained that her role is to make the connections for community partnerships, provide guidance, then move away. Another interesting program, “Re-engaging Youth”, received funding from businesses as well as DEWR, the federal agency that also provides direct funding for certain community programs run by the ACT Chamber of Commerce. As part of the youth program “Project Dinnertime” Poh, the famous chef, encouraged youth to prepare eight healthy dishes from the basic bolognaise recipe. In Gungahlin, Harrison Primary School and Wells Station (a working farm with a 99-year lease) have established a Memorandum of Understanding (MOU) in order to move forward with a partnership to provide the means for children to gain a better understanding of life in days gone by as well as how a farm operates now. It is anticipated that it won’t be long before there is much wider community involvement with individuals and volunteer groups, such as Rotary, developing ideas to restore and improve facilities on the farm. Members found Beth’s talk very interesting and there was a great deal of discussion and brain-storming. Beth was asked to keep us informed of relevant community projects in Gungahlin, particularly Wells Station which would be worthy of a visit in the near future. Michelle is still living and working in Washington DC. She is still with the National Association of Community Health Centres and is enjoying carrying out research projects and writing public policy. 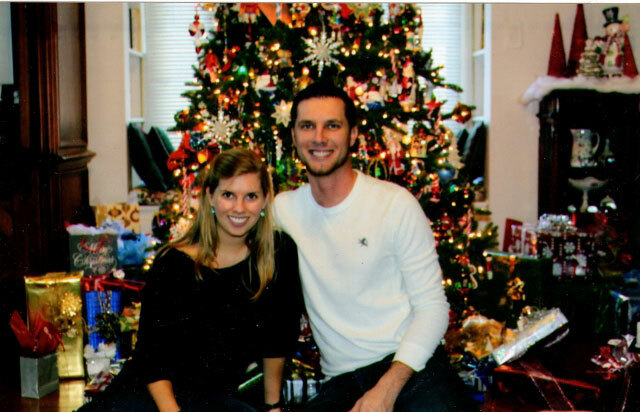 At Christmas she returned to the family home in Rome GA, accompanied by her boyfriend, Jino. (see photo). Late last year our Club donated $1,000 for the purchase of a ShelterBox. This Rotary disaster relief program provides shelter, warmth and dignity to those who have been affected by disasters worldwide. At the heart of the large durable plastic box is a tent for a family of up to 10 people. Other essentials include a stove, cooking equipment, water containers & purification, mosquito nets, tool kit, thermal fleece blankets, waterproof groundmats, children’s activity pack and warm hats & gloves. Members can track our ShelterBox by the unique number, 12369, on the website www.shelterboxaustralia.org.au. This will be a great social night for members and guests. Please advise Liz of numbers. Banquet $25 or $30pp. On Monday 13th January members and their guests will have the opportunity to meet and find out more about our speaker, Beth Peters, and her work with the ACT Chamber of Commerce. Beth is a broker between the Chamber of Commerce and the ACT Government. Members were very productive and worked through a wide range of Agenda Items. Some of our members can be seen in the photo. Important date: 6pm Thursday 23rd January, NYSF dinner at Ainslie Football Club – please register immediately for the dinner as this is a Gungahlin Club event (Mon 20th Jan meeting is replaced by this dinner). Registration: to http://www.rotaryd9710.org.au/ and follow the prompts. There will be no provision for cash payments on the night. Members and friends are invited to share in the celebration of the Year of the Horse presented by the Falun Dafa Association of Australia. This promises to be a great night. Our member Holly, is one of the organisers and is a contact officer for bookings (flyer attached). This week’s meeting – it’s on! 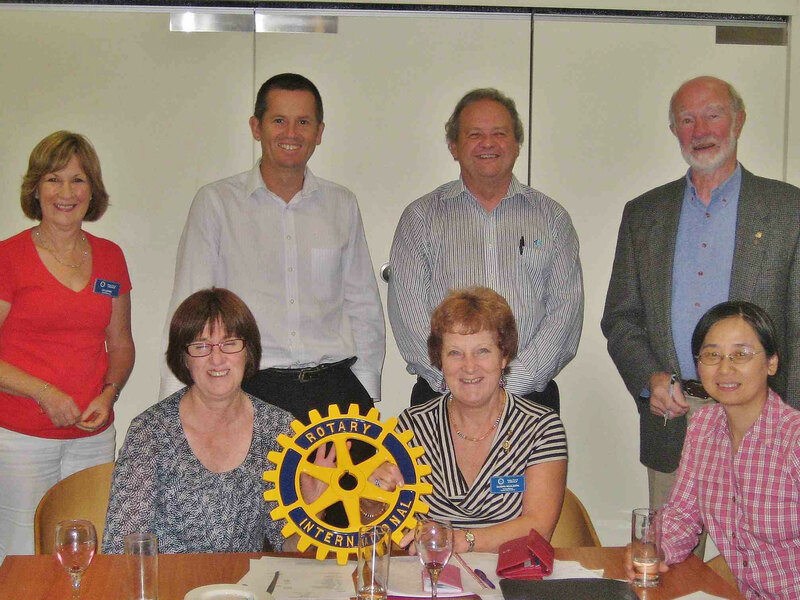 Start searching for your Rotary pins as our first meeting for the year is on Monday 6 January. It will be a club assembly, incorporating a Club Board meeting after preliminary notices etc. Our most recent edition of the Rotary Down Under magazine also included an article (page 36) on a new giving option of members and friends of Rotary – The Rotary Australia Benevolent Society [RABS]. Some members who donate to the Rotary Foundation may have been concerned that they have limited influence over where those funds are directed. RABS has been established by Rotary Australia World Community Service [RAWCS] to provide individuals and clubs with a way to make donations which will be targeted within their own or nearby communities in Australia and yet still attract tax deductibility. Most recently it was used to process donations to the Blue Mountains bushfire appeals. A further interesting feature of this new facility is that it can also be used by individual clubs to fund their own projects, once they have registered that project with the RABS. The shirts are only $28 each and would be a great memento. Check it out RDU’s promotion below. Sydney Convention Polo Shirt Gold with bottle green Mini waffle with honey comb panels cross the shoulder and underarm,100% breezeway polyester, moisture management fabric, quick dry, breathable. Be part of the sea of gold polo shirts with the Sydney host logo on the front right and YOUR club name on the front left – all inclusive of the price. Men’s sizes from M to 5XL Ladies sizes from 8 to 16. Important date: Thursday 23rd January, NYSF dinner – please register immediately for the dinner as this is a Gungahlin Club event (Mon 20th Jan meeting is cancelled). 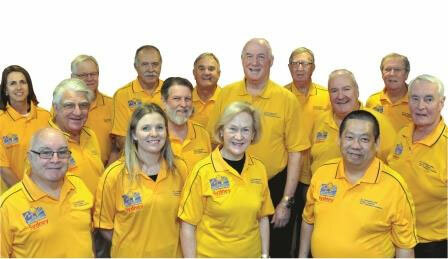 Rotarians play an important role in NYSF and our home hosting is always referred to fondly in valuations. Please register for home hosting by as soon as possible. Please note the following and consider how you would like to be involved. Registration: to http://www.rotaryd9710.org.au/ and follow the prompts. There will be no provision for cash payments on the night.